Now somebody told me about the new craze that is ‘ZOATS’ during one of my Slimming World meetings. As you can imagine, I was exactly the same as most of the group and instantly turned my nose up. Whoever came up with this idea was a genius! 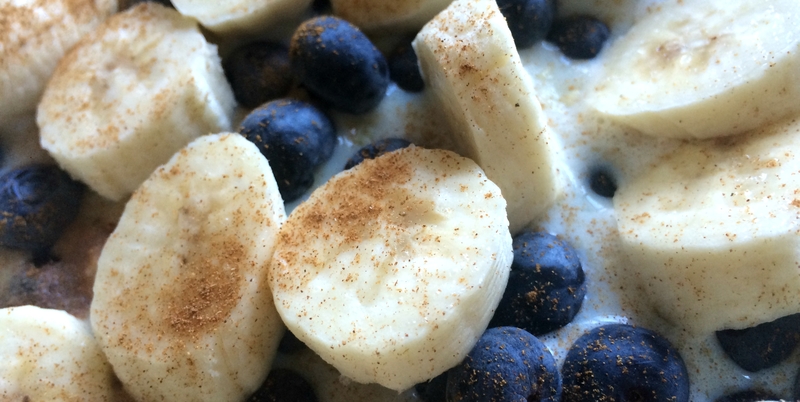 It’s the perfect way to get some speed food in to breakfast. I absolutely detest courgette normally but uncooked and grated and you can’t even taste it. It makes the small bowl of 35g of porridge suddenly overflow! So trust me and give it a go. You won’t regret it. Whatever you want to add. 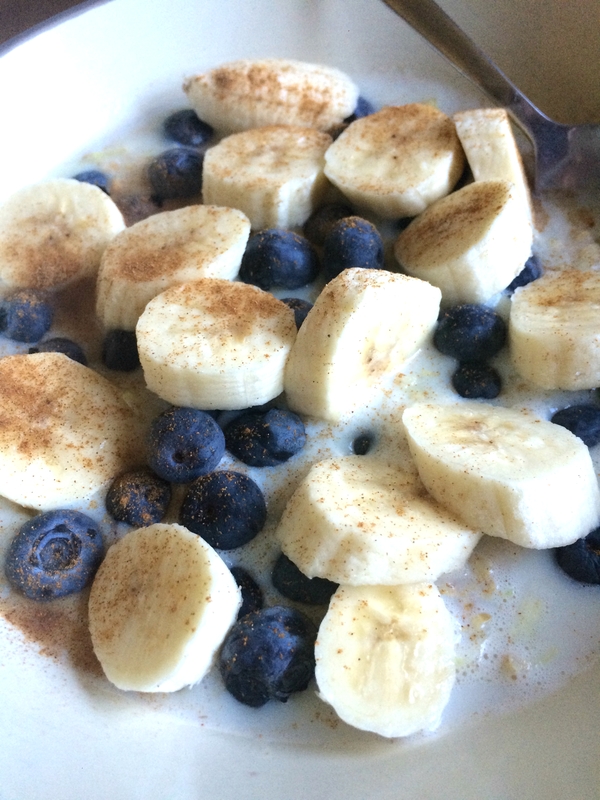 As you can see, I like bananas, blueberries and a touch of cinnamon. 1. Peel and grate half the courgette (save the rest for another breakfast because you’re bound to want to try this a second time). 2. Put the oats, milk/water and courgette in a high sided tub or bowl. 3. This part is up to you. I like to microwave mine for 3 minutes on high but if you prefer to make porridge in a pan on the hob then go ahead, just keep mixing until it’s as solid or gloopy as you like. 4. Garnish with fruit, spices, syrups or whatever you like to put in porridge. 5. Before you turn your nose up….TRY IT! You won’t regret it and you’ll feel like you are about to burst once you’ve finished it all. I think this will be my new go-to breakfast when the days start getting chilly again. They also make amazing pancakes but I’ll save that recipe for another day!